Duri Cosmetics has put together a trio of Twilight inspired shades, and I have swatches of them for you today! Duri offers a wide range of shades and finishes, and they're reasonably priced at $5 per bottle. 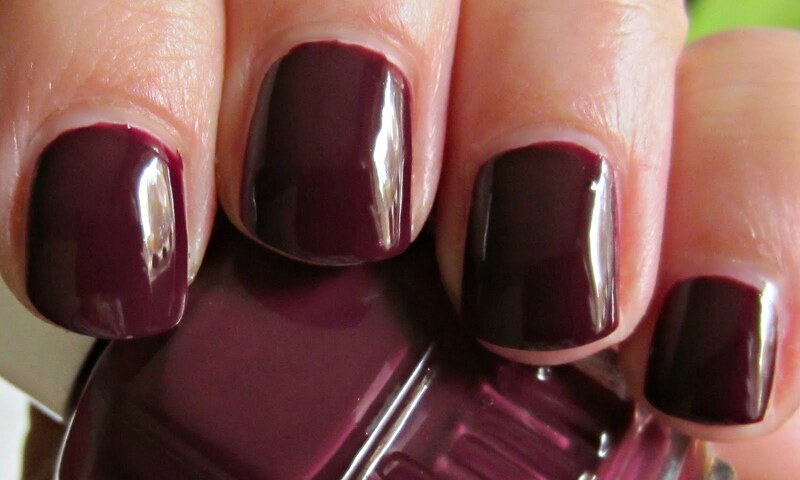 Their formula is very nice, and I used two coats on these shades. The bottles are full sized at 0.5 fl. oz., and if you appreciate bottle architecture like I do, you will love these. They're quite substantial and heavy, and they're embossed with the Duri name on all four sides. Moonlight Glow is a top coat polish, and this sheer milky white iridescent shade with a hint of blue shimmer is recommended by Duri as perfect for an exquisite overlay for a french mani. While I don't do many french manicures personally, I found this polish to be very useful as a color transforming top coat over just about any base color. This is what it looks like applied over Black Diamond, a near-black shade from Duri shown further down. The shimmer particles are almost plush looking, and this shade gives a somewhat gradient look with movement of your hand. I haven't tried it over lighter shades, but blue is the very obvious color over darker shades. Here's a quick and easy soft tye-die look I did using a base of From Dusk Till Dawn (seen further down), a coat of Moonlight Glow, 7-8 small random dots per nail of From Dusk Till Dawn applied with the brush, then another coat of Moonlight Glow applied almost as soon as I finished the dots. Black Diamond is a black creme shade with extremely subtle tiny silver glitter. Duri describes this as a black polish with silver luster. Shown in full sun--not that you'll see the Twilight characters dare to emerge into the full sun, for fear of drawing attention--the silver is somewhat evident, but in the shade (below), it appears as a slightly off-black creme. 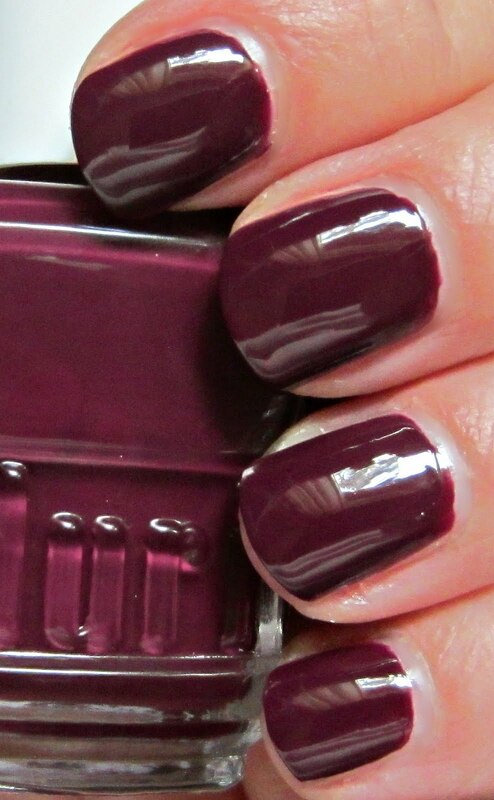 From Dusk Till Dawn is a vampy medium burgundy creme with a jelly finish. This is described as having a semi-sheer finish, but that isn't the case, at least with my bottle. This covered beautifully using two coats, and it's very creamy and opaque. Bitten by the Twilight Craze? Beauty "Vamps" and Twi-Hards Alike will be Smitten with Duri Cosmetics Succulent Nail Lacquers! From Dusk Till Dawn is a deep and complex hue embodying Bella's inner confliction that combines dark fuchsia and a creamy texture with a semi-sheer finish. Embrace Team Edward with Moonlight Glow, a glistening white with a hint of blue shimmer, or Team Jacob with Black Diamond, a black polish with silver luster. 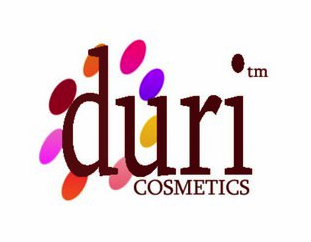 Duri Cosmetics gives Twi-Fans fierce glamour and mystical illusion for only $5 a bottle! Available at salons and specialty stores nationwide, as well as online at www.duri.com. All nail products are completely safe, environmentally-friendly and free from DBP, TOLUENE and FORMALDEHYDE. I love the tie dye effect! I've never seen that before! Moonlight Glow is SO COOL. I've never heard of this brand but those polishes look great! Moonlight Glow seems to be the only special polish of this collection. Love your tie-dyed manicure. Spectacular. Moonlight Glow is neat. The other 2 doesn't do anything for me shade-wise. So many of these around already. I love what you did for that tie dye effect! 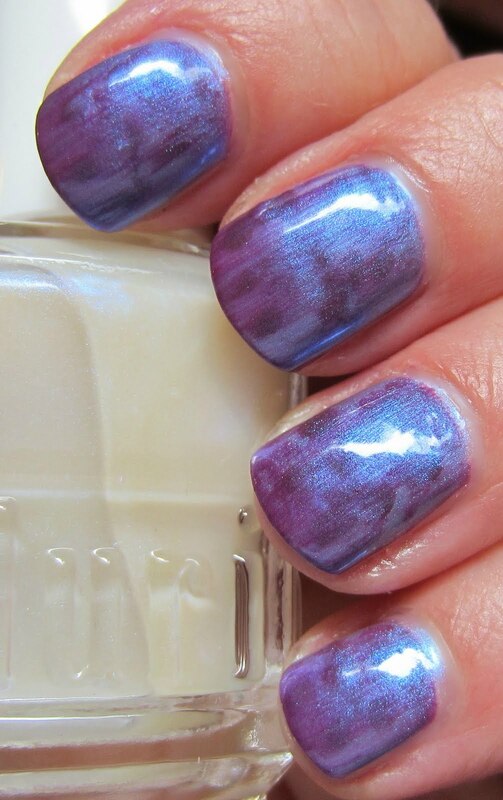 Oh my goodness...that tie-dye mani is absolutely spectacular! I love it and salute your talented mind for creating this! I have to try this for myself now! Gorgeous swatches!